Everyone knows how to drink beer, but understanding the many profiles of beer doesn’t always come naturally. In this book, you’ll find everything from pouring techniques, to food pairing, to brewing methods. 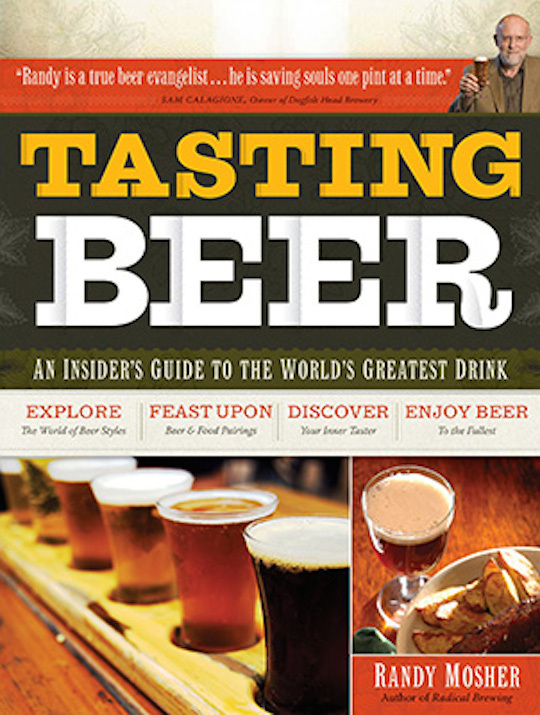 The Tasting Beer book is for the beer lover who wants to learn a little more about their favourite drink. 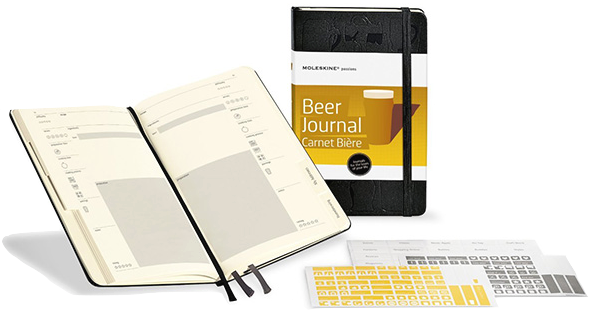 This Moleskin journal is the perfect tool for recording, organizing and describing your love for beer. The different sections of this journal include beer glossary, pouring tips, glass types, tasting notes, recipes and more! 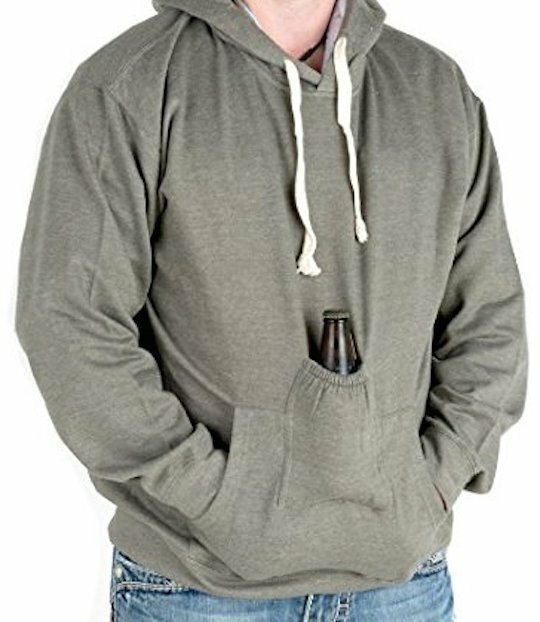 This gift is perfect for any person who drinks a lot of beers, but can never remember their favourites. Beer geeks know that there are specific glasses used with certain styles of beer. Even though some of that is strictly tradition, there’s also actual science behind it. Certain beer glasses are made specifically so that it can actually make the right style of beer taste better. 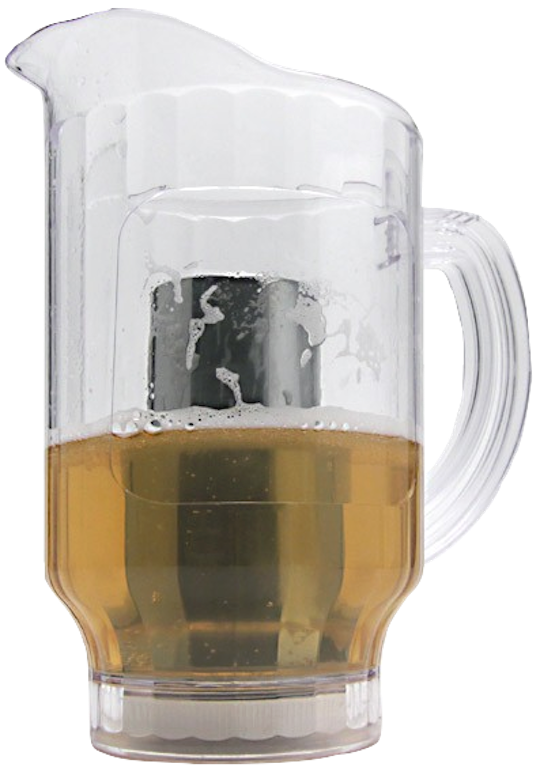 This gift is perfect for that friend who’s been drinking every beer out of the same pint glass. Making your own beer is a great way to expand your knowledge and appreciation for beer. 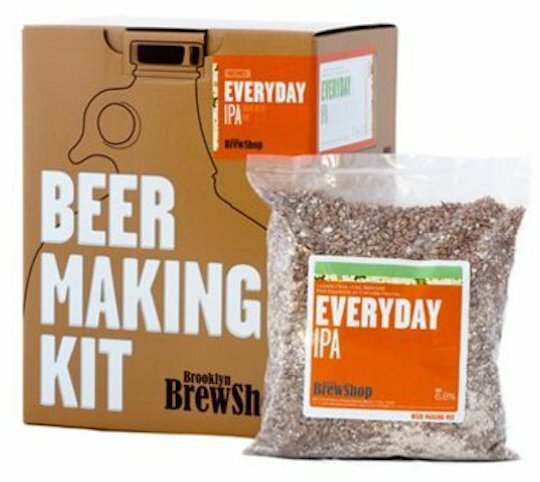 This kit contains everything you need in order to brew your own beer. Choose between Everything IPA or Bruxelles Blonde. 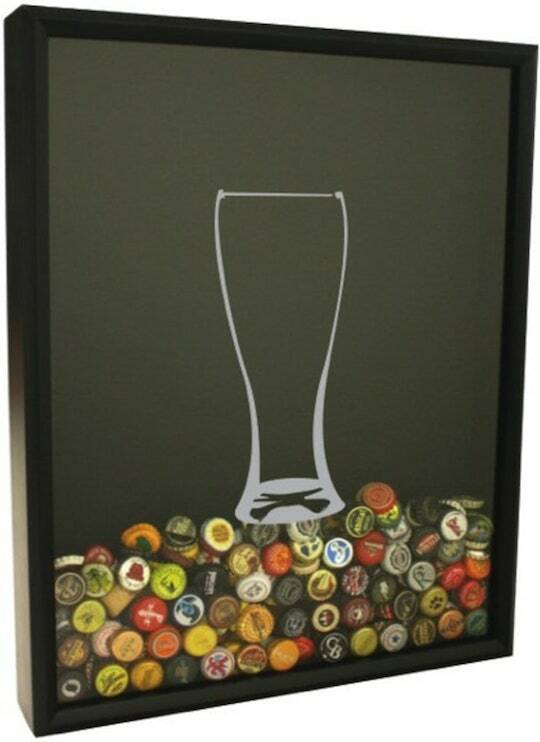 This beer shadow box is easy to use and looks great in any room. Your beer-drinking friends will love the look of this on their wall. It’s a collection of all the beers they love. Available at Craft Beer Hound. 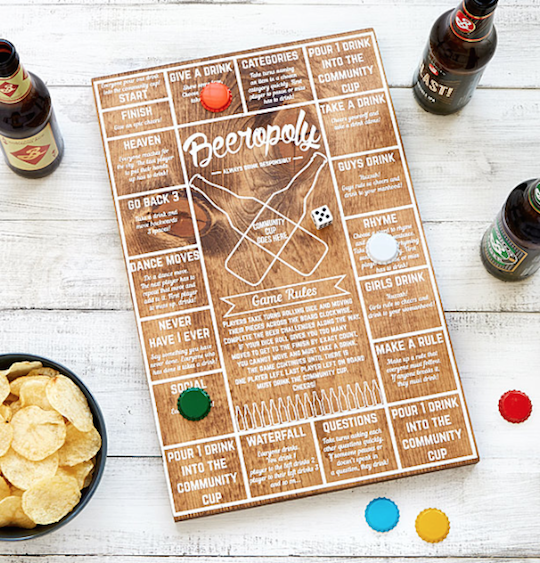 Beeropoly is the perfect game for parties or a small group of friends. Complete the different challenges as you make your way around the board. 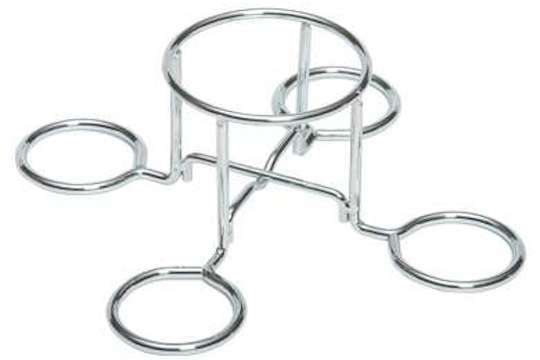 Anybody drinking beer will want to join in on the fun that’s brewing. 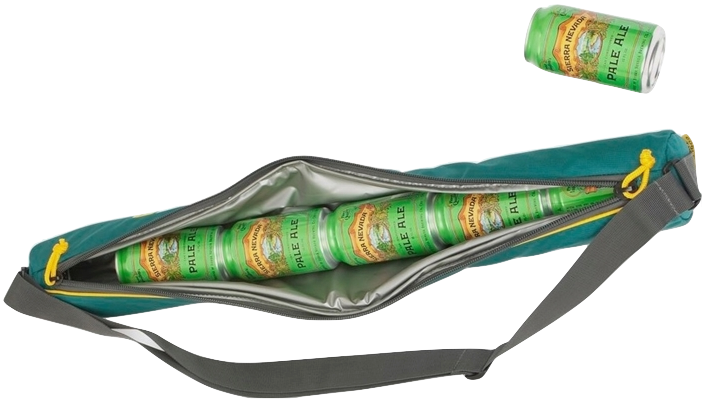 The Moutainsmith Cooler Tube is a long, tube-like bag that can hold up to six cans of 12-oz beer or four tall boys. It comes with PE foam insulation to lock all the cold in, with a PEVA waterproof seam-sealed lining. This cooler is styled to look like a bag for your yoga mat. The only thing that might give the secret away is the beer belly. All real beer lovers know that you can do so much more with beer than just drink it. Get your friends a beer can chicken roaster in hopes they’ll use it for their next dinner party you’re attending. These roasters are available at your local Walmarts and Superstores. Check out these tips and tricks. 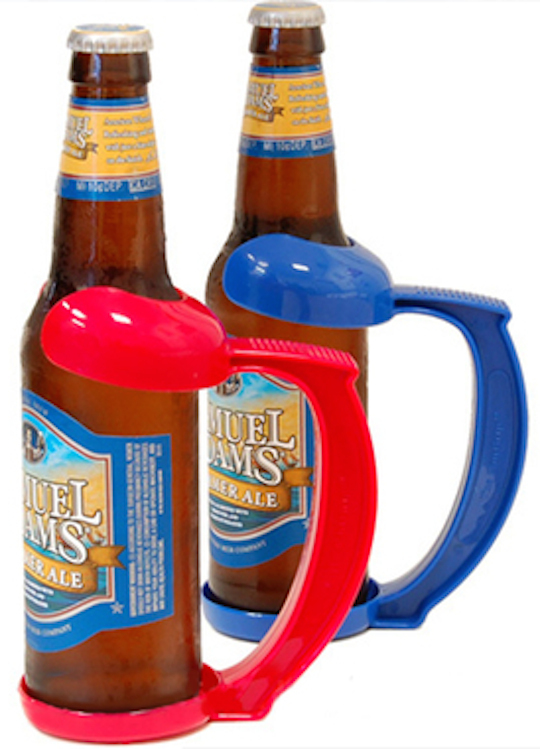 Do you ever have troubles holding onto your beer? Neither do we, but these still make a great gift! Perfect for a Secret Santa gift exchange or a small stocking stuffer. The ultimate gift for the beer lover is, undoubtedly, beer. Pick up a case of their favourite beer or find a unique beer you know they haven’t tried yet. Whether you call them beer brats, German sausages or bratwurst these sausages are the best. They are a great summer food because they are quick and easy to make plus they leave room for so much creativity. Find your own style and enjoy!